Exactly. I have heard of people who collect everything that looks big enough to eat, take them home and show them to an 'expert' and only eat the ones given the OK, and chuck the rest. some pickers get paid by weight of edible ones which does encourage learning and some measure of ethics if they stay on. some are paid by total weight and some by the day ( and are not taken again if they get nowt in the basket first time ) which are messy as both options lead to a huge amount of bycatch. with a shroom i am not certain about as food or even if i am pretty certain it isn't food but i'm curious as to what it is i will take one or two to identify otherwise it is either half for the pot and half for spores or look and decide not food and leave them be. That's the option I take with all the shrooms I see. I'm far too scared to take the risk. that said there are some that are unmistakeable so long as the shape, colour, small, location etc match the description all will be fine. even within one patch at one time quite a few species will show considerable diversity of colour , shape etc etc . one of the better ways to start shrooming is learning the food only once species and avoid them individually or if they are part of a group with some edible and some not shun the whole group until you are much more expert. 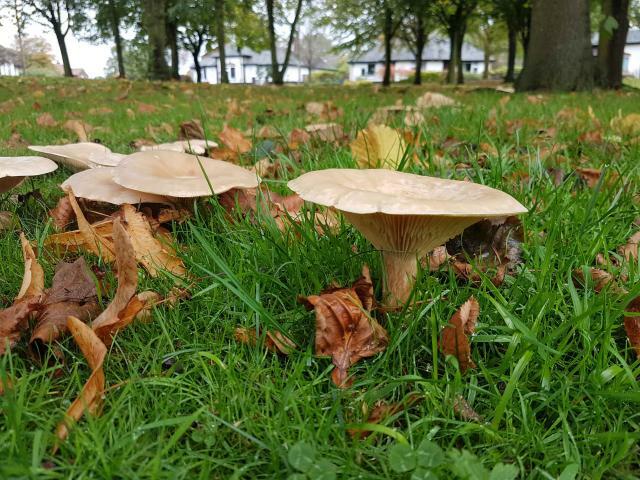 groups such as tree located ones or the boletes only have a few to avoid, once those are known so a specific id isnt so important for picking the edible sorts. some groups are difficult, such as the 'cybes, as the differences between dinner and dead or wishing you were dead are very subtle. So are there some that cannot be mixed up with anything else DPack? I know a giant puffball and that's really about all I would risk. I understand some people can get bad reactions from chicken of the woods though. About 10% of people get stomach upsets, or so I have read. I trust myself with jelly ear/wood ear and giant puffball. That's about it! NMG, I've never even heard of those. I have heard that some people find Chicken-of-the-Woods tasty, but the only time I was given it, it tasted of the sauce it was cooked in, though admittedly the texture was exactly like chicken. COTW reminds me of lobster, more so than lobster mushrooms. Giant puffballs are poo-pooed by some, but Mrs. Slim made an absolutely delicious puffball parmigiana a couple years ago. st george's are fairly easy to id . 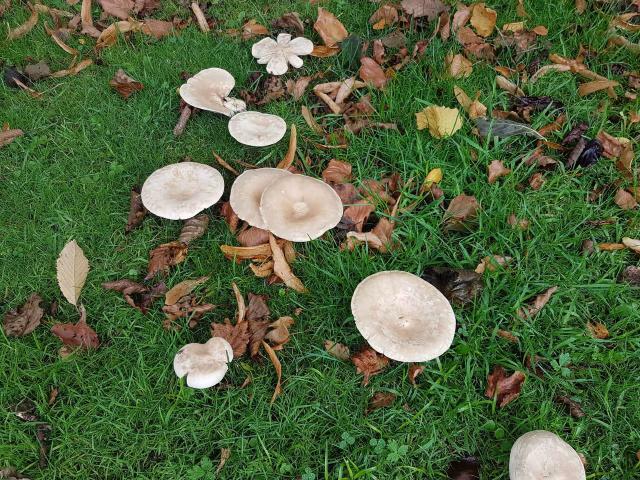 spring, grassland, pale buff, plump, with a indented edge to the cap. nowt else that is nasty fits the bill. velvet shanks , purple stem, orange cap, frosty weather, grow on dead or dying trees. again nowt to confuse them with. the better foraging guides have a "can be mistaken for " list which is handy . something that has killed folk is that an edible shroom in one place can look like a once only one on a different continent . iirc several chinese folk have come a cropper by picking a familiar shroom that wasn't what they thought it was having moved to europe. Sgt. Colon, jelly ear used to be called Jews ear, but in these more politically correct times has changed its name. You may have heard it called by the old name. I cooked a stuffed giant puffball once, not a large one. It was too strong a mushroomy flavour for me, but then I do have very delicate taste buds. Some more shrooms for ID please, if anyone knows. We also had some of these growing in our back garden.